Football rumours: Man City’s Chinese investment to boost pursuit of Guardiola and Messi? Man Utd eyeing Aubameyang? Klopp to plunder Dortmund for Liverpool? The Daily Mirror believe that Manchester City’s sale of a £265m stake in the club could boost their pursuit of Bayern Munich boss and Barcelona star Lionel Messi. Manchester City’s parent company has been valued at £2bn after selling a 13 per cent stake to Chinese investors. 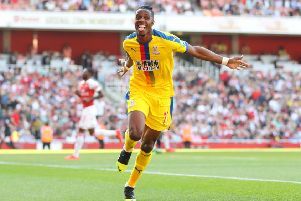 The Mirror say the 26-year-old is now being watched by the Old Trafford outfit, along with Barcelona, Arsenal and Chelsea. Jurgen Klopp has been given the green light to make a move for Borussia Dortmund players, by the German side’s chief executive Hans-Joachim Watzke, reports the Liverpool Echo. And the London Evening Standard say that Gary Neville’s odds of becoming the next Fulham manager have dropped dramatically.